Who would not want to be a Bond Girl?! Having a great body, a fancy name, being extremely sporty and super-handy with any kind of weapon, a Bond Girl looks absolutely stunning. Moreover she always gets James Bond himself. As this dream might not going to happen any time soon, we should better focus on OPI‘s new The Bond Girls Liquid Sand™ collection. The 6 different shades are each dedicated to a Bond Girl. I love their Liquid Sand™ texture (Do you remember the Maria Carey by OPI collection that featured the same technology?). It is easy to apply, extremely long-lasting and it gives your nails an eye-catching look in one stroke. My favourite shade is Tiffany Case. 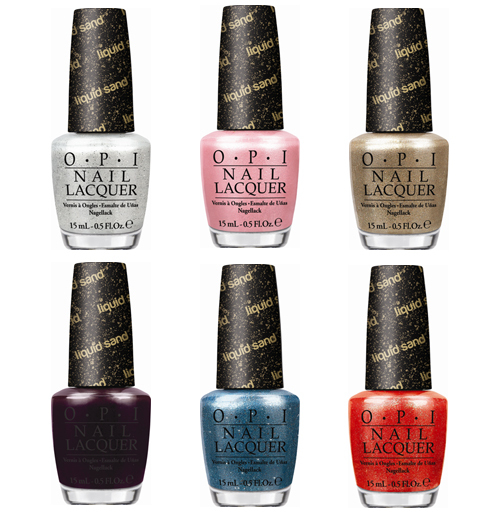 The Bond Girls by OPI collection is in stores now for CHF 23.90 each.